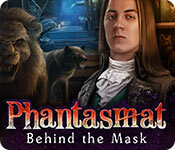 Phantasmat: Behind the Mask is rated 4.3 out of 5 by 40. Rated 5 out of 5 by Kimmycoo from Long and Beautiful Game I loved all of the great characters in this game, the creepy kid and his family. The house was huge and had a ton of rooms, all beautiful and expertly decorated. The game was long, loaded with cut scenes, HOS and mini games. LOVED IT! Rated 5 out of 5 by cme550 from Excellent game! I enjoyed this game very much! You play as a person who was invited to a family reunion only to find out things aren't as you expected. The graphics are great, the voice acting is good, though I did get annoyed with Thomas' rhymes after a while. 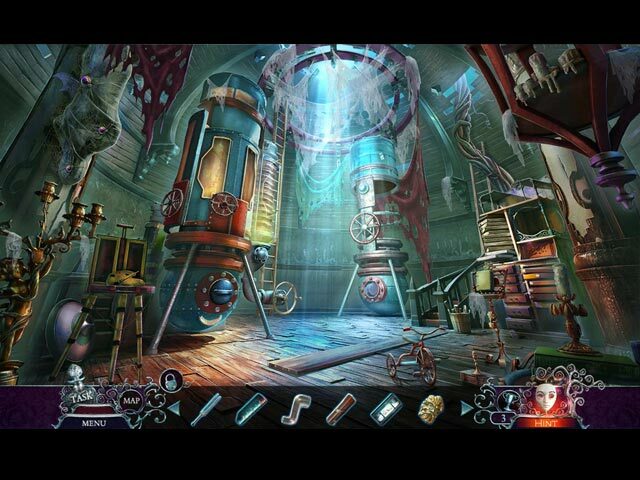 The hidden object scenes were a bit challenging at times and fun, and puzzles weren't too overly difficult. Rated 5 out of 5 by rpggramma from Very good game. Good game; very long. Sooo much stuff to do, soo many rooms to enter, soo many HOs and puzzles!! Each time I thought I was through with a chapter, another door emerged. Great map and task list. (I HAD TO STOP PLAYING A FEW TIMES AND WHEN I THOUGHT OF THE FIRST CHAPTERS, I ACTUALLY THOUGHT THEY WERE PART OF A PRIOR GAME!! Puzzles and HOs are really good. Story line is interesting; relatives are introduced and you do not want these relatives!! Good fun!!!!! HA HA!! Have fun! Rated 5 out of 5 by RavenCorbie from Masked Madness This review is for the completed game of the PC Standard Edition version. GAMEPLAY: This is the most important category, obviously, and it was a great game. I never felt bored, but was always involved in using my brain to solve puzzles. I really loved the Custom mode for difficulty because I like some things to be very difficult (long refreshes for hint/skip, lack of sparkles, etc.) and other things to be very easy (in particular, I hate miss click penalties in HO scenes as sometimes I like just clicking on things I like), so the custom mode was very refreshing! One thing I didn't really like was the fact that there was sometimes only one item to find or a very small number. I like switching from looking for one item to another, and coming back to harder items multiple times, which doesn't work with shorter lists as well. That said, I did like the originality of many of the HO scenes and tasks. I also really enjoyed the puzzles and the special items that you had to create from multiple parts. STORYLINE I rated the story as 4/5, but I'd really put it as 4.5. I really enjoyed meeting the members of the Ward family, but some of them were fairly cliche, and the ending felt a little abrupt. That said, I was really invested in learning about the family and putting everything together. 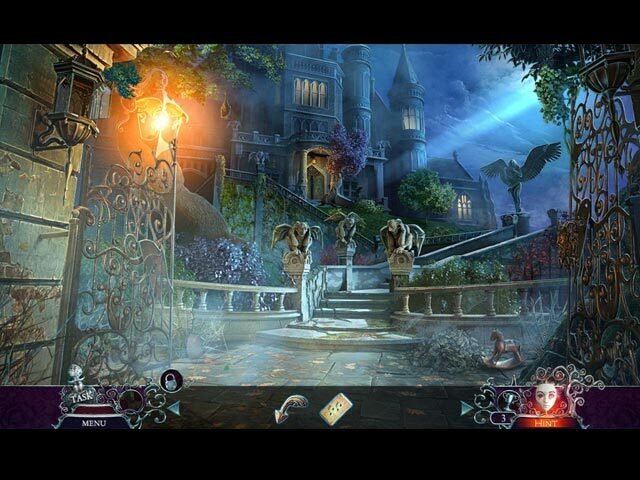 The tasks for the game meshed well with the story, and the types of rooms and puzzles for each character were appropriate and interesting as well. LENGTH/VALUE: I got this at a very low $2.99 so I found it to be an excellent value, particularly as I felt it to be one of the longer HOPAs I've played recently. I definitely feel like I got my money's worth! I'm not sure whether the length was actually longer or if I just spent more time on it because I was enjoying myself and didn't get frustrated or bored, but either way, it points to good value. AESTHETICS: I put this last because I don't feel like a good judge of these things. The child's voice was very well done, particularly once you get to the very end. I did not care for the bugs on some of the screens because I hate bugs. The first time one appeared, I actually thought it was a real bug and screamed. I guess that points to good quality, though, so I can't really fault it. Nothing else really stood out. Final Assessment: Definitely a good buy and highly recommended even at a higher price than what I paid. Rated 5 out of 5 by Alenee from Weird in all the right ways! I'm just about halfway through this game, and I'm really enjoying it. There's just the perfect balance of creepiness, mystery, surrealism and murder to make this a perfect dark game for anyone in a dark-game kind of mood... But at the same time, it never leans too heavily on any one genre. As I'm going through the game, the various tangents are coming together into a weird but playful tale. And amazingly, it has managed to avoid being depressing, despite the heavy themes... maybe that's because it has a vaguely Alice-in-wonderland ambiance as well? I won't even attempt to describe the abstract story - it's hard to do that without ruining it - but let's just say that many have attempted the same type of thing before and failed. Thankfully, Eipix seems to have mastered the art of keeping us in suspense and they've resisted all temptations to be predictable in Behind the Mask. Eipix seems to be going through a bit of a revival ATM; this is the second game of theirs that's grabbed my attention and held it, in the past few weeks. The level of challenge stays at the right place all the way through, and there are plenty of small twists added to the mini games and HO scenes to keep the player engaged in them. I especially liked the game that involved moving all kinds of numbers and symbols into the right places on a board. It needed strategy and patience, but was engaging and set an easy pace. If you're a fan of the dark genres AND want a bit of fun, then try this game! Rated 5 out of 5 by Yanie1020 from Deserves 5 Stars! Everything about this game is good. I loved the graphics, puzzles, music, the challenge, and the length. What more is there? Great game! 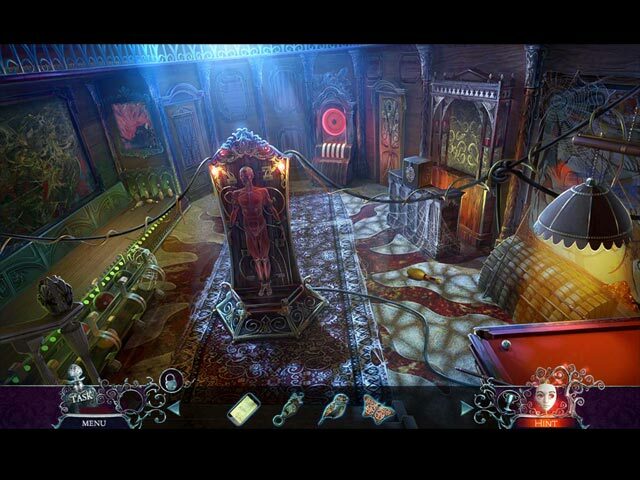 Rated 5 out of 5 by soto55 from Behind the mask One of the better games in the Phantasmat series. Great story that kept me intrigued the entire way through. Hope to see more games like this in 2016. Rated 5 out of 5 by odarney from A Big Fish customer since 2004 - this game creeped me out Wow! I have played a LOT of creepy/scary games, but this one REALLY creeped me out. I was actually jumpy while playing and it is gruesome! Fantastic game. Characters are equally frightening. A must play. Rated 5 out of 5 by bessflint from Lots of intrigue with a murderous fmily Thoroughly enjoyed this game. graphics were very good and the puzzles interesting. Your long-lost relatives are excited to welcome you to the family... or are they?